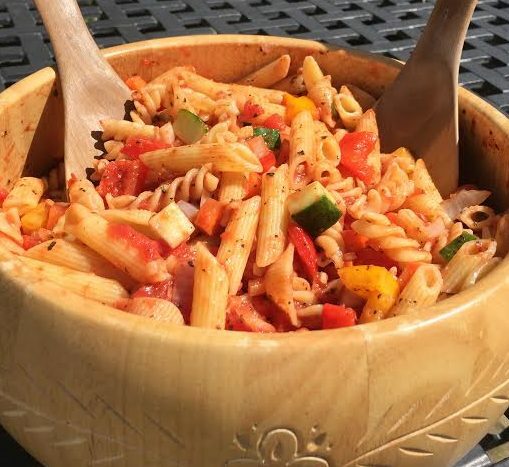 This pasta salad works as either a healthy lunch or tasty BBQ accompaniment, and can be made in only ten minutes. 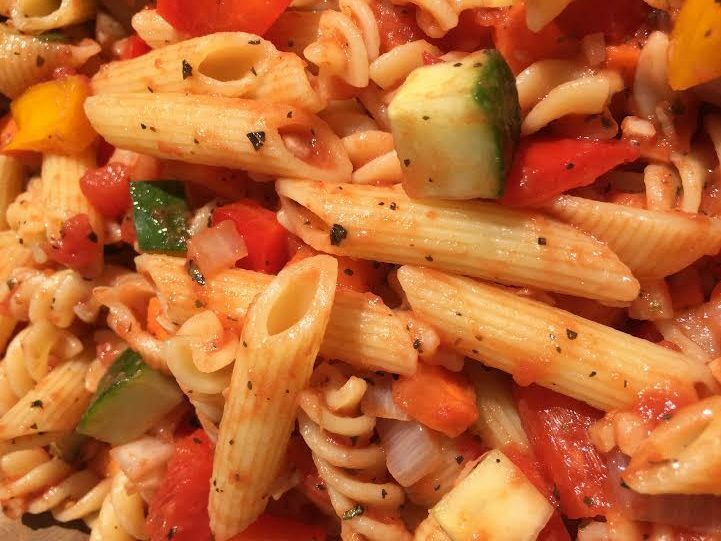 It’s also great for using up any leftover pasta as the mix of textures can be really fun. This looks delicious! Gonna have to try this one soon.